Nuclear energy plants supply nearly 60 billion dollars to the United States’ gross domestic product while maintaining lower costs of electricity. 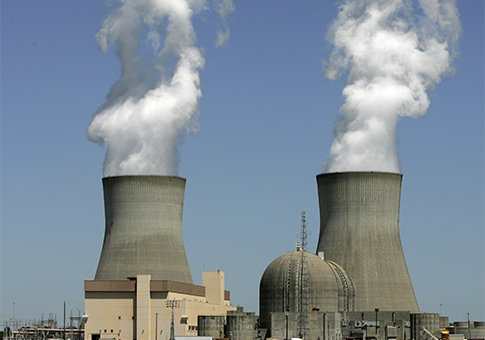 Nuclear energy also supplies over 400,000 full-time jobs in the United States, a report by the Brattle Group said. Dr. Mark Berkman, who co-authored the report, said, "The economic and environmental benefits of nuclear energy are often undervalued in national and state energy policy discussions." The nuclear energy industry in the United States prevents carbon dioxide emissions drastically, according to the report. Carbon dioxide emissions are reduced by 573 million tons due to nuclear energy plants. Nuclear energy prevents 650,000 tons of nitrogen oxide, which negatively impacts human respiration, from being produced. Nuclear energy plants also prevent more than a million tons of sulfur oxide emissions. "It is even more critical to consider the significant value of U.S. nuclear plants in a landscape where several factors threaten some nuclear facilities and could diminish the industry’s contribution to our electricity supply, the economy, and the environment," said Berman. If not for nuclear power, the report said, reliance on natural gas, coal, and electricity would increase. This entry was posted in Issues and tagged Nuclear Energy. Bookmark the permalink.